MADISON – This week, Marsy’s Law for Wisconsin partnered with the Wisconsin Sheriffs and Deputy Sheriffs Association for the organization’s Winter Conference, a four-day event providing informational talks, workshops, and exhibits on a wide array of issues crucial to modern law enforcement. 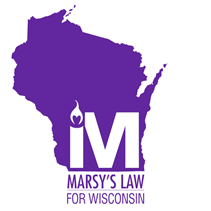 Marsy’s Law for Wisconsin participated in the annual event as part of its broader organizing efforts across the state as it fights to update the Wisconsin Constitution to ensure equal rights for crime victims. Prominent endorsements from within the law enforcement community have made up a significant portion of Marsy’s Law for Wisconsin’s bipartisan coalition, with over 100 Chiefs of Police from across the state already joining the effort’s growing list of 200 key endorsements.